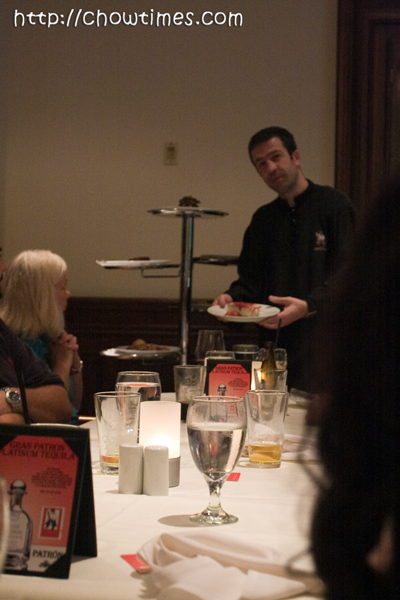 Since I was already in Atlanta, I organized a pre-Go-Live celebration with the team located in Atlanta. The Project “ONE” system was not supposed to go-live for the next two weeks but at the rate things are going, we were pretty confident nothing will go wrong. So, we felt safe celebrating ahead of time! 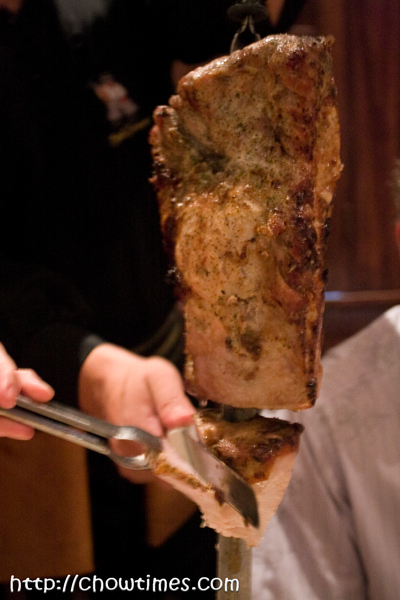 I always wanted to go to a Brazilian Steakhouse which the folks in Atlanta always rave about. 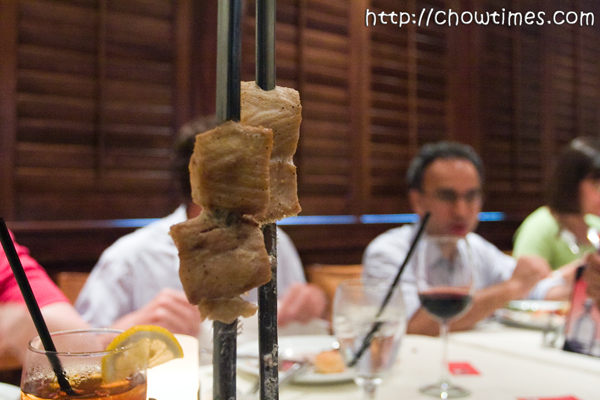 The best place is Fogo de Chau but it was too far from the office in Buckhead. So we decided to go to a nearer one called Sal Grosso. 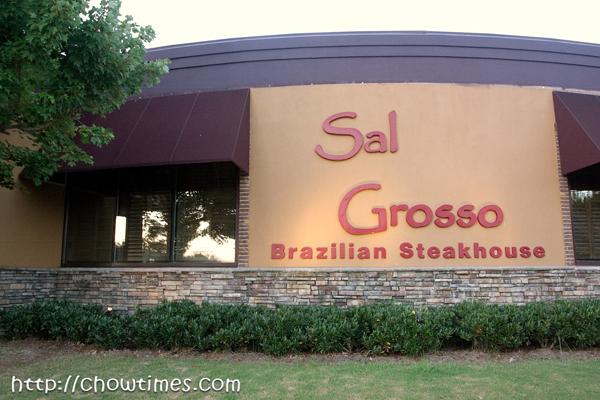 Sal Grosso is located on 1927 Powers Ferry Rd SE. 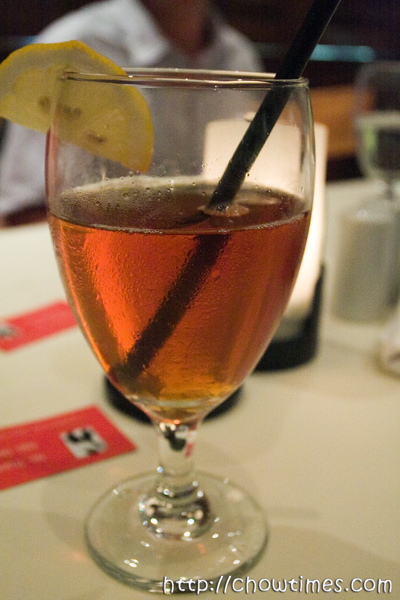 I had the same stuff for the drinks … the “Southern Table Wine”. 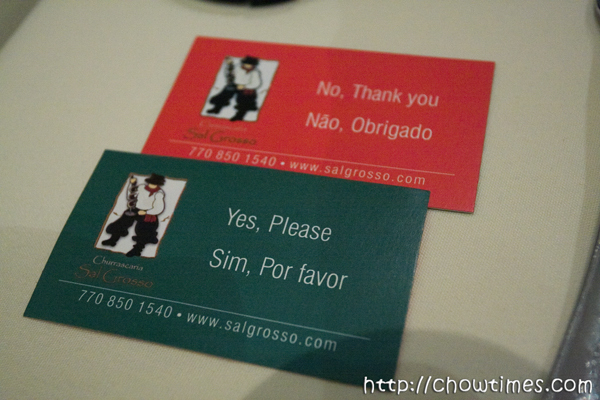 I had been to the Brazilian Steakhouse before in in Vancouver — Samba’s the name I think. The one in Vancouver was sort of disappointing to me. I hoped that this was better. 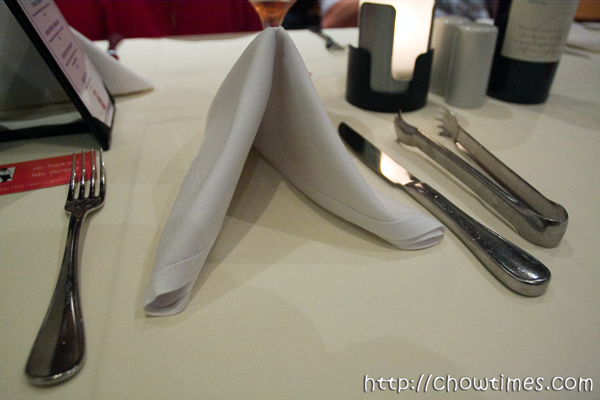 The table setting includes an extra item … a tong of sorts. The salad bar was nothing to shout about really. I just went one round and that’s it. Each of us has a card … green on one side and red on the other. They had people coming around and if they see you had the card flipped to the green side, they’ll come by and ask. Problem is almost everyone of the servers are Spanish and some of them don’t even speak English. They sort of grunt and I nod if I had enough. And they are so mechanical, so you better remember to flip this to red if you want time to finish off what you have on your plate before asking for more. Frankly, I think some of the offerings were quite sorry looking. Some were good. I had a lot of meat and was surprised that the folks stopped eating quite fast. 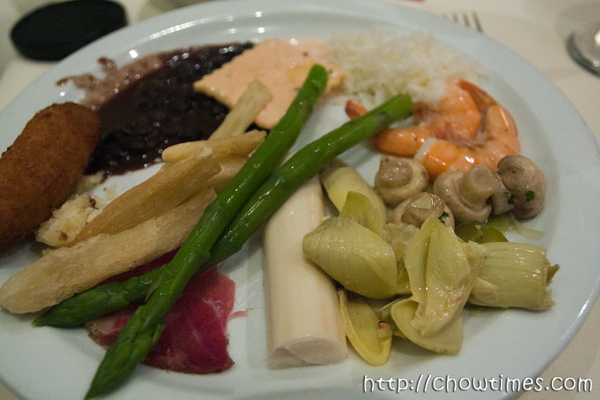 This meal is, I believe, $40 per person … just for the food and salad bar alone. Desserts were extras. 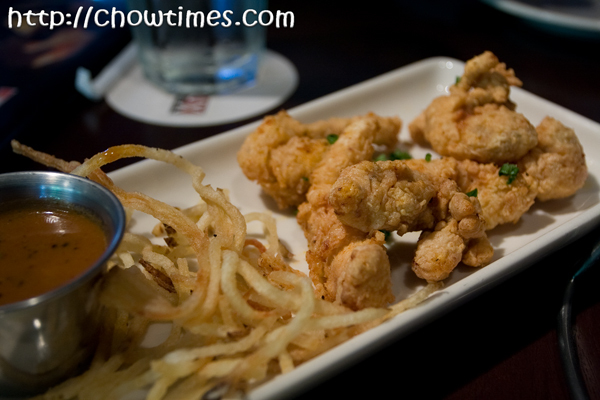 Like the meal I had at Pappadeaux the day earlier, they brought long samples to tempt us into getting the dessert. This one is even more “gua jiong” … they had seven samples and presented one at a time. Needless to say, EVERYONE got dessert even though some of us were quite full already. I don’t even know what this is called but I got this from the looks. 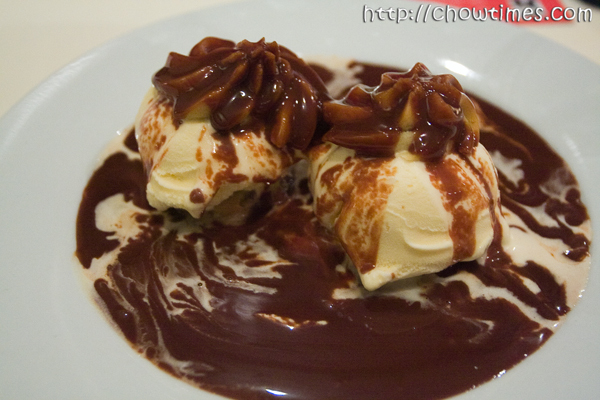 I remembered it was rich, creamy nice. The bill came to over $1000 for just the 12 of us who attended. Whew! Good thing I did not have to pick up the tab and expense it. This is because the company entertainment policy is to have the most senior person pay and expense. I am quite disappointed with the offering, frankly speaking. The setting and interior decor was great but the most important part … the meat … were just so-so. Actually I am not quite reviewing the hotel I stayed in while in Atlanta. I am actually wanted to share with you this almost new technology from Microsoft that I recently discovered. So, I am doing two things in a same post. Our company’s travel services will by default book me in the Courtyard by Marriott. The reason is simple … the Marriott is on the same building complex as our Atlanta office. It’s is just a 30 step from entrance to entrance. Nothing beats this hotel convenience wise. 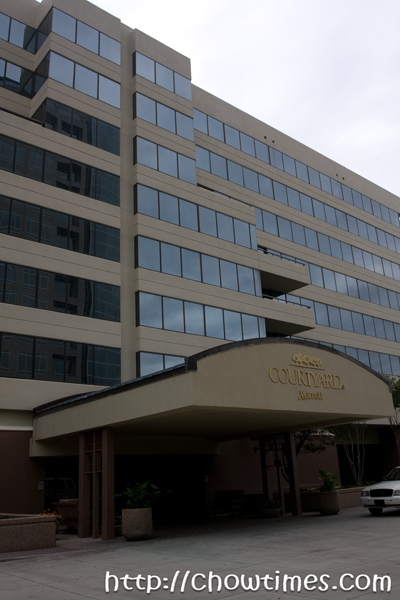 The Courtyard by Marriott is a business hotel and caters a lot to people of our company. I like them because they have all my records on file and some of them even recognizes me. So, checking in and out is really fuss free and more often than not, I get a nice room with a better view. I like their breakfasts which I had blogged about here before. Here is where I show you the room … but first I think you need to install Photosynth on your machine to view it. You can install it from http://photosynth.net. What do you think? I find it kind of neat. Photosynth is a technology acquired by Microsoft which basically takes a bunch of photos and then process them into a 3d arrangements. I took a whopping 74 pictures from all angles in the room to create this synth. Have fun zooming in and out. Particularly zoom down to the table where the phone is. There are many really nice synths out there and you will be able to appreciate it more with some outdoor examples. I got to the hotel in the nick of time when Ryan and Mick was just about to head off to dinner. Good thing I managed to bump into them in the lobby of the hotel or else it would be a lonely dinner. I hate having a dinner in a nice place on my own. We got a cab and had a 10 minutes ride to who knows where. I can never get used to the neighborhood names in Atlanta. 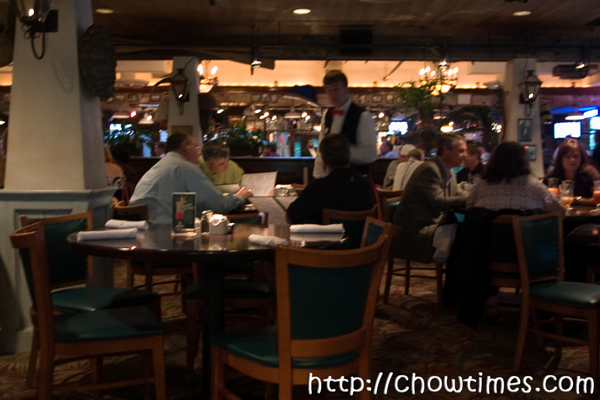 What I do have is the address of the place we went to 2830 Windy Hill Rd, Marietta. 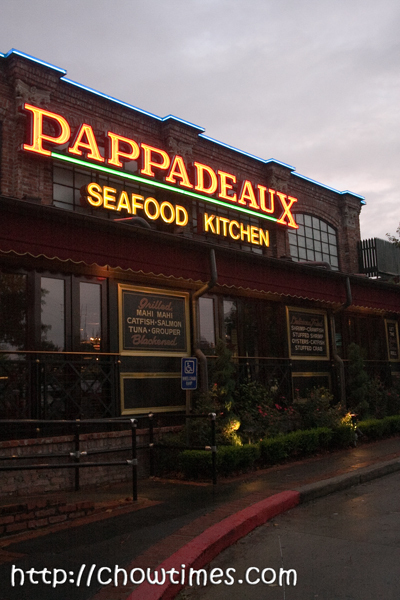 We went to a place Pappadeaux Seafood Kitchen which came highly recommended by the gals in our Atlanta office. From the outside it sure looked like a great choice. From the inside, it too looked very much like a businessy kind of place. There were mostly people in working attire and I did not see any families in there. There were a few couples having a romantic dinner (I know because they were holding hands over and under the table). I had the “Southern Table Wine”. It is a very southern thing, I understand. And the only good way to have this is SWEETENED. 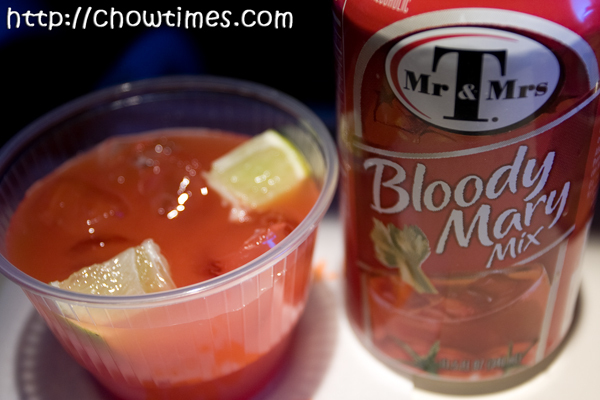 I am a creature of habit … on flights, I have Bloody Mary Mix … in Atlanta, I almost always have Iced Tea … SWEETENED. Here I go again. The bad news is I am embarking on a new Travel series. The good news is this will be the last travel series for this year. A couple of months ago, I was requested to attend a 2 hour meeting. For just a 2 hour meeting, I assumed that this will be done through voice or video conferencing. But to my surprise, I was requested I attend the meeting in person. Oh well, I am OK if the boss deems it important that I spend two days traveling just for a 2 hour meeting. I put in my travel request to Atlanta and was routed through Chicago. Seeing I had never been to the third largest city in the US before, I made a quick change of itinerary to include a few days stop in Chicago. 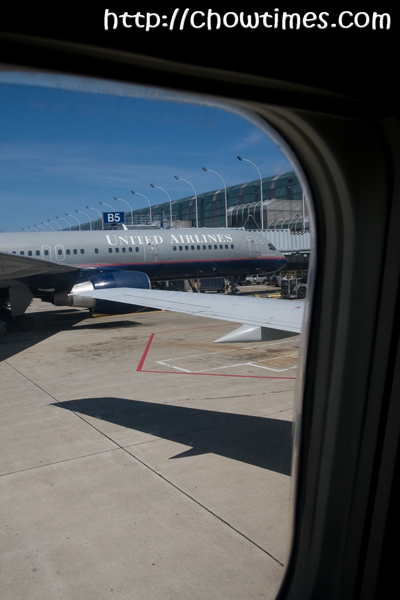 So … this is the series on my trip to Atlanta (again) and the Windy City, Chicago. As usual, the flight to Atlanta means a very early start. I normally opt for the first flight of the day which is about 6AM. I like early morning flight because by the time I land in Atlanta, it will just be 5PM’ish and that leaves me a lot of time to settle down and prep for the next day. 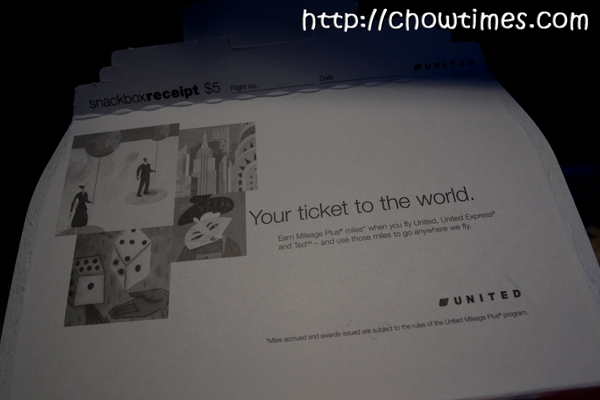 This time, I flew with United Airlines. I vividly remember flying United Airlines the only one time before. You see, a few days before I started work in my company, I had a phone call asking me not to report to work in the Vancouver office but instead get in the flight to Atlanta on the first day of work. It was one of the most stressful thing I had ever been put into … I was supposed to meet my project team in Atlanta. I hardly know the company, the processes, the people, the products, the airline industry … zilch. And they expect me to say something smart to the team?!?!? 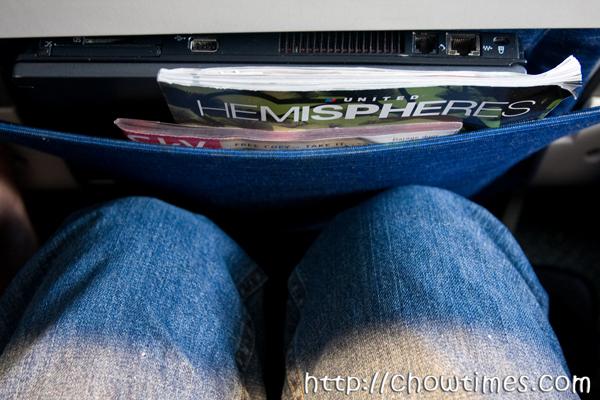 Bad thing about United Airlines … the legroom is non-existent. Some of you know I am not a tall guy and my knees are touching the back of the front seat (OK, OK, I am short but I have you know that many great people are not tall … like Napolean and Hitler for instance). To think that someone of an average height finding this a squeeze too. It is impossible to use the notebook to do work and type on the seats. So, I ended up flipping the notebook screen all the way up and do reading instead … and watching a movie which I brought along. 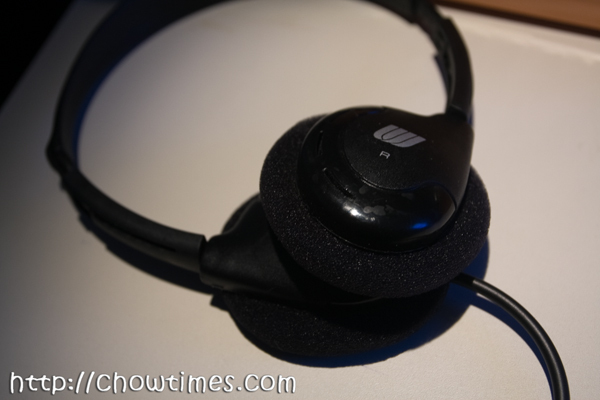 Good thing about United Airlines … they provide free headsets. Some other airlines charges $5 for the crummy plasticky ones which you end up throwing away after the flight. These are free and so I cannot complain. 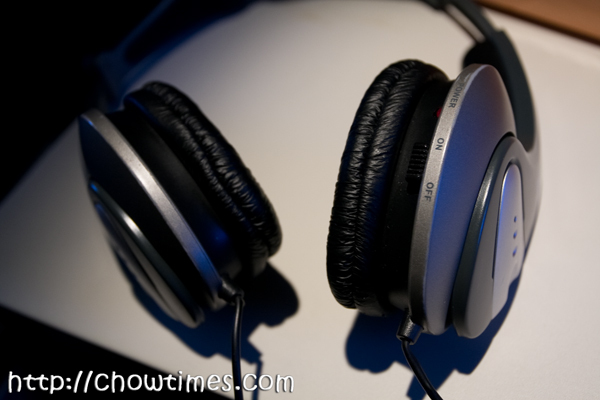 My trusted travel companion is the noise-canceling headset I bring it along in all my travels. I simply love this. The noise-canceling feature while not the best does its job in drowning out the engine roar. I am not sure how this works but it works. I like also the fact that it is very comfortable and fits my head well. Moreover, it folds neatly into a lump and comes with a felt pouch. If you travel a lot, you should get one of these things. Cookies are free but I got the United Airlines Snack box. They have a variety of to choose from, four I think. I opted for the one called the SmartPack. 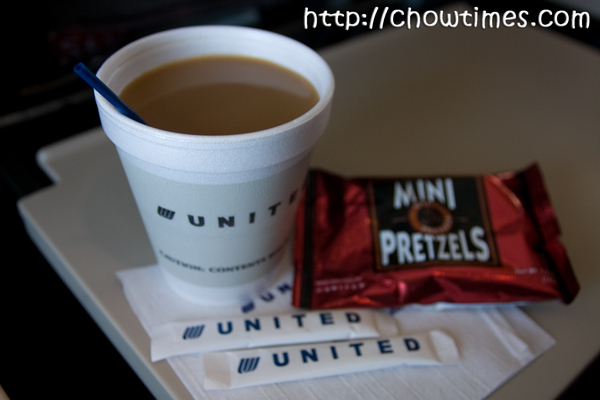 The last time I travelled United I had the MiniMeal which I blogged about here .. almost three years ago. 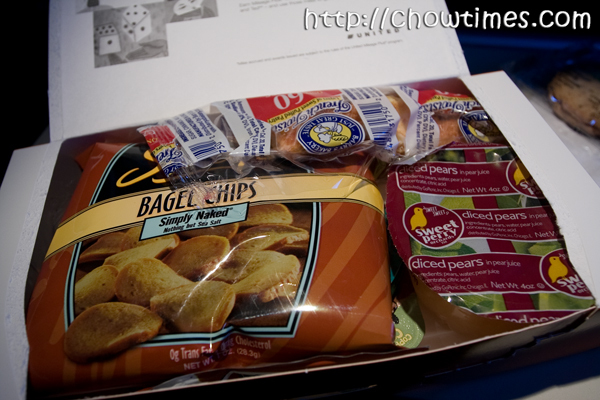 I must declare that United Airlines Snack Boxes are simply the best I had ever had. It is laden with goodies packing in the box you will never believe. And all this for only $5. The cover of the box doubles up as a receipt … a simple and neat idea. This helps me claim travel expenses easier … having paper receipts attracts no question from accounting. ve this drink on my flight. The beauty with United Airlines is that they drop a couple of wedges of lemon into it too. What a nice touch. Other than the size of the seat, I like United Airlines. I took an awfully long time to finish off the snack box as I documented every item in the box. There were about seven different items in the box alone. I used to be self-conscious taking pictures of the food but not anymore. Some people might think I am a country bumpkin taking the first flight in his life but … he he he … I don’t care! Generally, people do not care what I do and pretend not to notice. I had a 1 hour stop in Chicago. 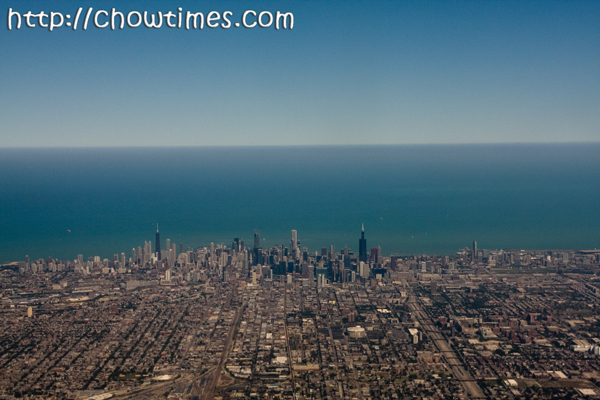 I could see the Chicago downtown very clearly from the plane. The Sears Tower and the Hancock Tower was clearly imposing with its black exterior and sheer height. In just a couple of days, I will be heading that way. 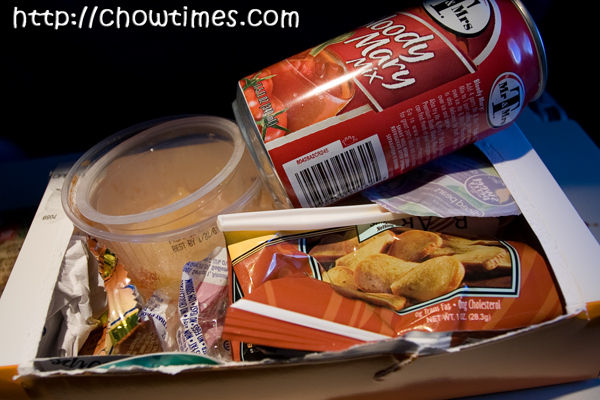 The leg from Chicago to Atlanta was shorter and they only serve snacks for flights lesser than three hours. I had coffee and it was pretty good. 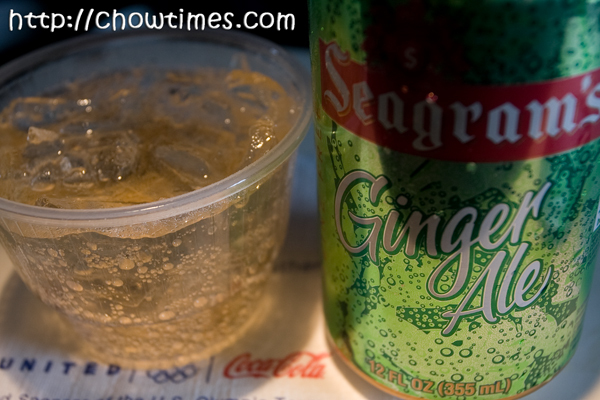 Ginger Ale is another of my favourite inflight drink. 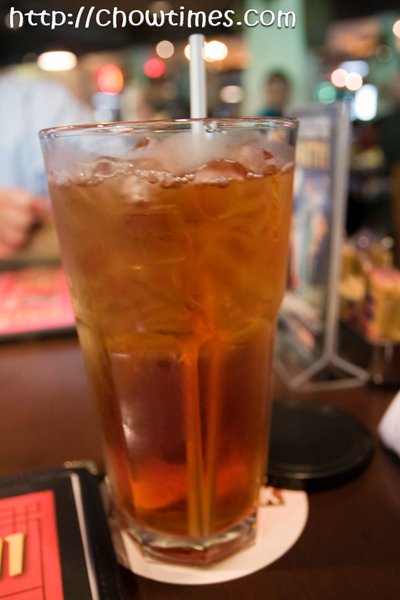 I love the refreshing smooth color of the Ginger Ale … certainly looks more refreshing than Coke. 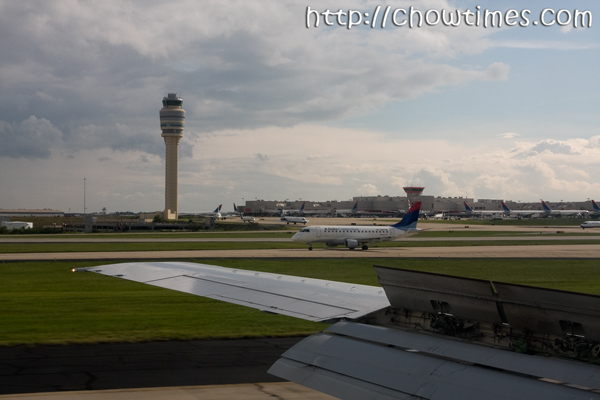 I landed at the Atlanta airport at about five in the evening. This is just in time for me to get to the hotel and have a nice dinner somewhere nearby (the hotel is 30-40 minutes from the airport). 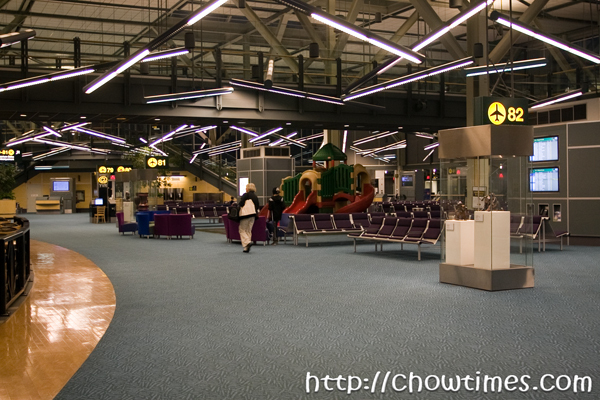 I had been in the airport many times and I know this airport as well as I know YVR! Ask me about any food outlet here, I could probably tell you which terminal it is on … almost. OK, this post is too long. 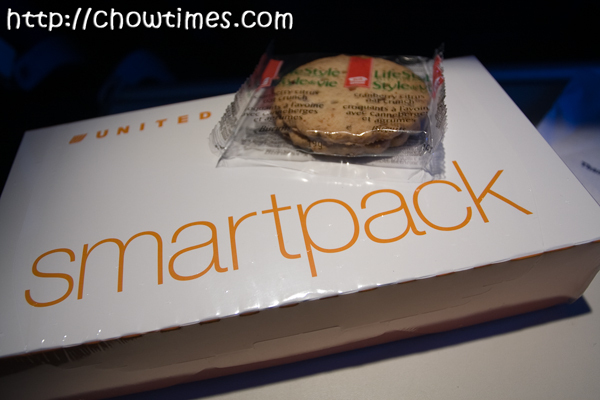 So, if you want to see what is in the SmartPack snack box from United Airlines, click on “read more” below.